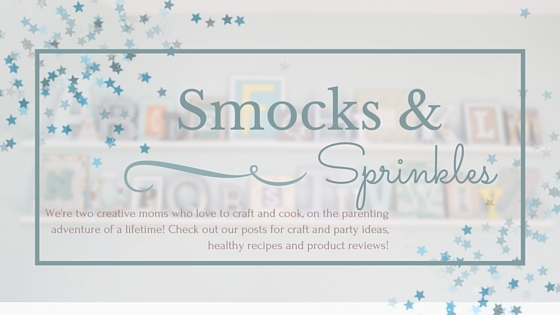 Smocks and Sprinkles: Cute Knotted Headband - Fast, easy, no-sew! Ever since I saw these knotted headbands, I've been meaning to make my own. I mean, how hard can it be? 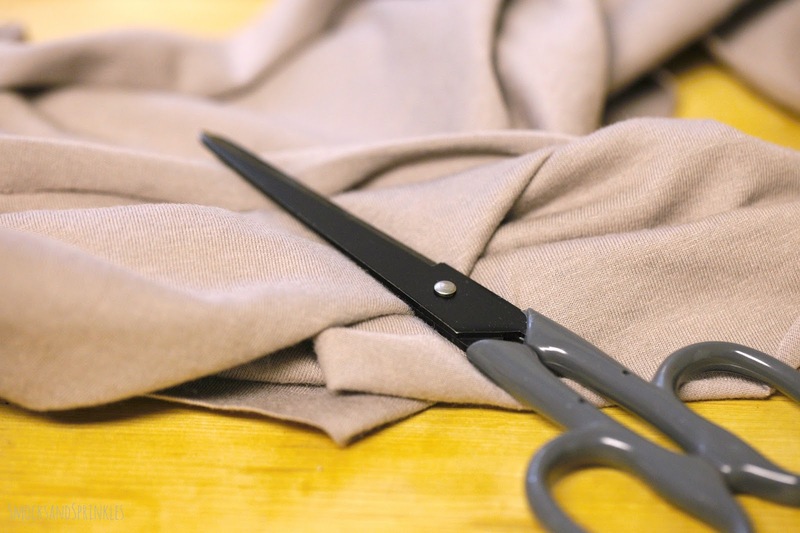 Cut a strip of fabric and knot it, right? YES! It's really that easy. Even easier than the flower headband. I'm serious, I made my first experimental one in less than 5 minutes, and I wasn't even sure what I was doing! Cut a strip of fabric 22" x 4" long. 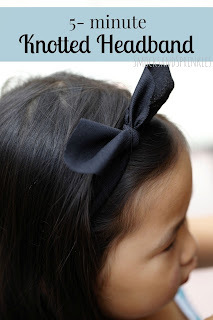 Make sure the stretch goes horizontally, so the headband will stretch. Print out the pattern. Or don't. 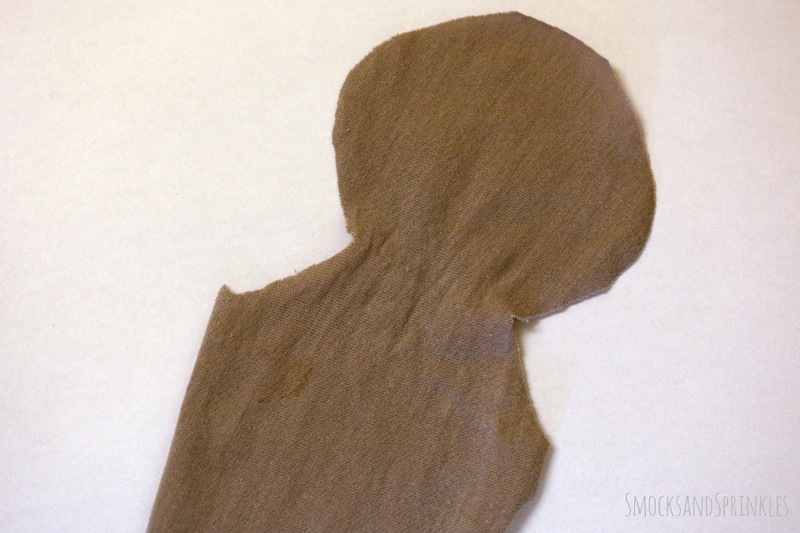 This headband is so easy, you can probably wing it! 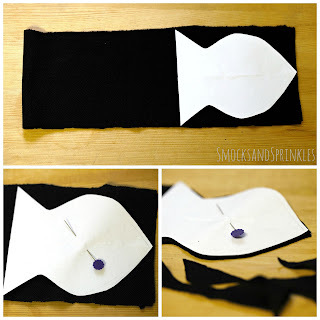 Fold your fabric strip in half. Place the template with the pointed edge towards the ends. Pin and cut the fabric along the solid lines. Look at this horrible cutting. And the headband still turned out great! Told you it's easy! 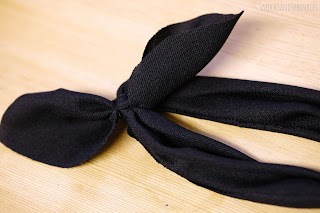 Tie the fabric in a cute knot, incorporating the skinniest part of the fabric into the knot and voila, you are a headband master! Tip! 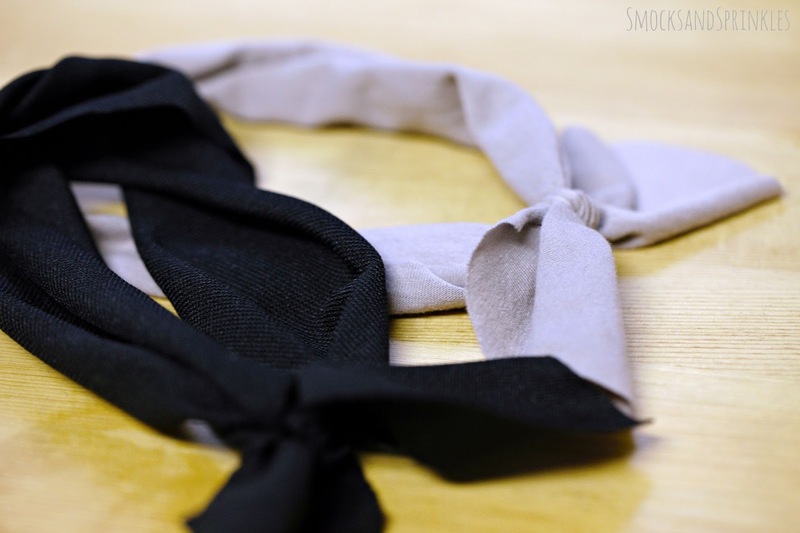 You can adjust the size of the headband as your baby grows by adjusting the placement of the knot. 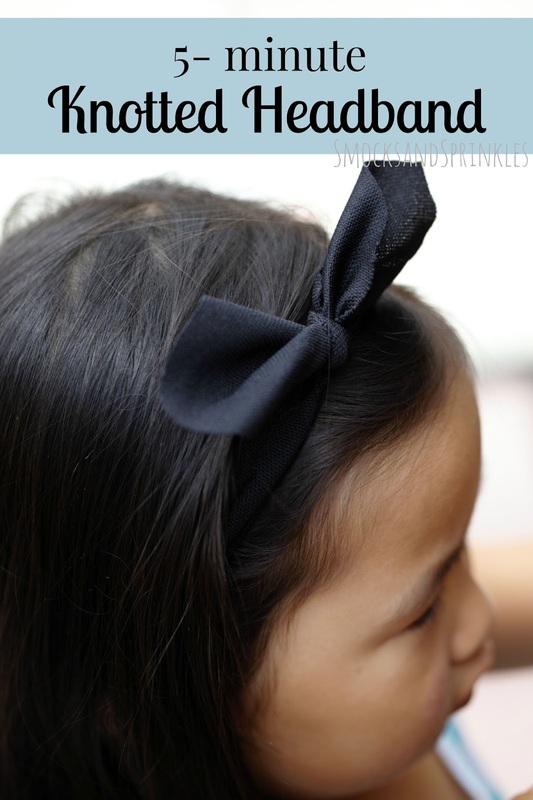 You'll be surprised at how easy this headband is to make, and how cute it looks on your little one. You still have time to make one for the first day of school. And make sure to share photos of your creations!